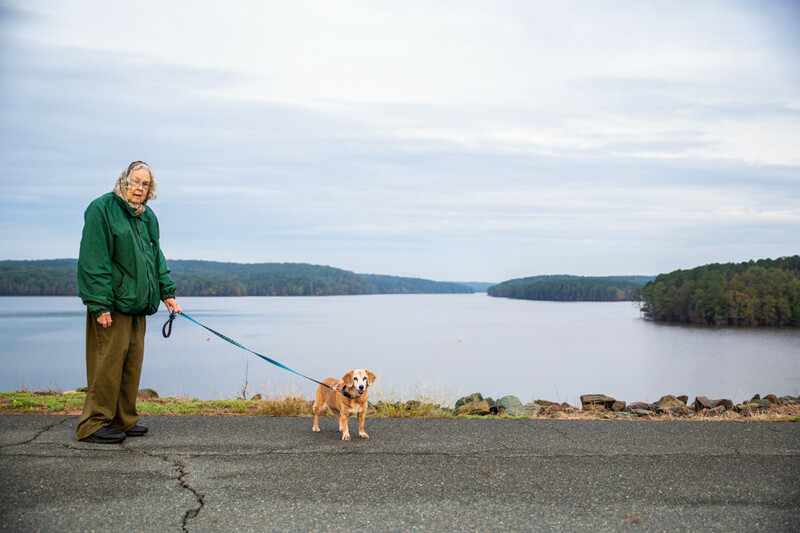 Judy Hogan is an 81-year-old environmental activist, writer, and teacher. Over the past few decades, she has fought a myriad of different environmental justice issues affecting her community in Chatham County, N.C. Right now, she is leading an effort against Duke Energy dumping and incinerating coal ash in her town. She publishes books and poetry and teaches writing classes twice a week as well. toward her, both smiling, she says." Most Thursday afternoons, Hogan shops at a local farmers market in Pittsboro, N.C., and passes out poems that she has written to the farmers. Hogan has often felt threatened and disliked by people who don’t agree with her vocal writing and environmental activism. Hogan usually wakes up around 4 am every morning, always starting her day by spending a few hours writing in her diary and adding to whatever book she is working on. Hogan has poems about birds written in word magnets on her fridge. Hogan leads a community meeting once a month to plan next steps in the area’s continual fight against the presence of coal ash in Chatham County, N.C.
Judy Hogan waits for people to show up at her community coal ash meeting on Oct. 5, 2018. One community member and a professor from UNC Chapel Hill doing research on water quality in Chatham attended. Since Hogan first started working against coal ash in 2014, interest and support from community members for the cause has severely dropped off.